Hello! Today I am starting my first real on-purpose vacation ever, a 2.5 week trip to Japan. I've traveled a lot for conferences and work and weddings and stuff, but never really Just Cuz. So that is cool. I probably won't really have Internet or phone, but it's not like I update this thing more than once a month anyway. I'm going to be gone for SIGBOVIK this year, but I did spend about 4 months on a secret project which I'm eager to show off! I recorded a video explanation and demo for the conference which I'll post here once it passes and I can find Internet. Or go to the conference if you're in Pittsburgh... It's always a good time! SIGBOVIK 2013, the world's most prestigious computer science conference, is coming up. I've been participating since the beginning in this superb lampooning of academia and whatever. This year I have a few silly/serious papers and a masterwork that I've put about 12 weekends into and which is truly too advanced for any other publication venue. In my humble opinion. Fact. But we can always use more submissions, and we welcome them from anywhere in the world on any topic, even if you can't attend. You've got a few more decoy deadlines left. So let's do! 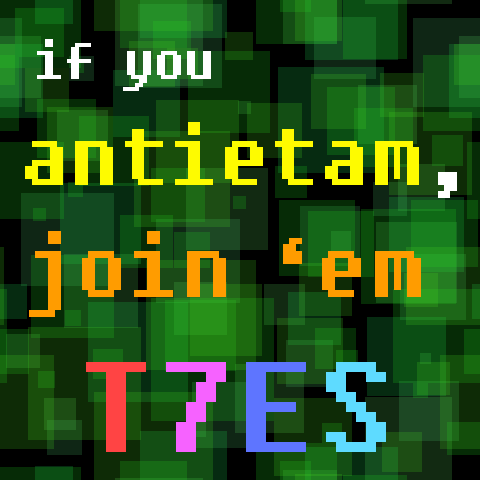 One fresh spanking new Tom 7 Entertainment System chipdude: If you antietam, join 'em. I set off to create something atmospheric but I definitely have a problem with restraint, so eventually it becomes a staccato arpeggio jam as usual. I hope you enjoy it. I don't want to spoil the surprises in the game since they are fairly shallow. 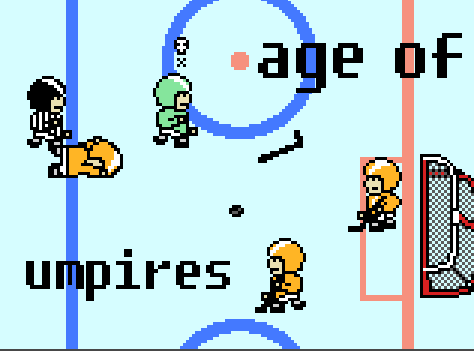 I think it came out fairly well, so if you have a soft spot in your heart for Nintendo's Ice Hockey, go ahead and play it online. The two-song 8-bit soundtrack is available. I have a bunch of new Sick Ridiculous et al. recordings which I will share as I mix them. It takes a while and I never feel quite satisfied with the results, but I can't just hoard them on my hard drive! 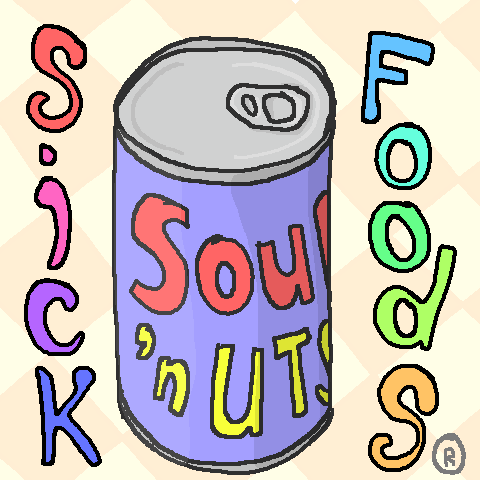 This is a song about soup and anaphylaxis that we wrote for the Pittsburgh artist event "Soup n'at" (n'at is Pittsburgh vernacular for "etc. ", roughly). It's called Soup 'n Uts.